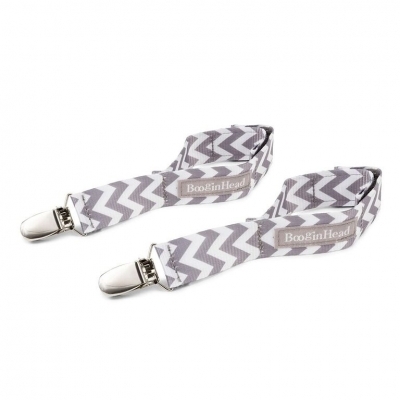 BooginHead's BlanketGrip attaches to almost any stroller or carseat to keep your child's blanket from falling on the ground. It has adjustable velcro straps and an easy to use non-slip clip which fastens securely to the blanket. Cute, sturdy, very useful clips.